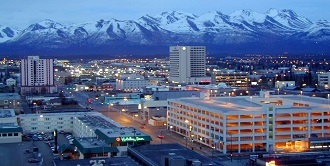 Downtown Anchorage is one of the top neighborhoods in Alaska’s premier city. The community, boasting striking mountain views and a wealth of cultural and entertainment options, also enjoys a wide variety of real estate choices, great schools and a robust economy. Those looking to move to Anchorage should definitely take a good look at its thriving downtown district and everything it has to offer. Downtown Anchorage real estate is just steps from the city’s top businesses, museums, parks and performing arts venues. Downtown Anchorage homes enjoy strong property values and include high-rise condos as well as convenient townhouses and comfortable multifamily homes and condos as well. Downtown Anchorage real estate options also offer reasonable prices and modest interest rates, making them very affordable and practical for all sorts of home buyers. Local workers will find Downtown Anchorage home prices to be great deals, as will families and young professionals looking for a community that’s convenient and thriving with retail and nightlife options. The historic core of the city, Downtown Anchorage was first settled around 1914 and thrived as a center of trade, industry, fishing and mining. It survived the infamous Good Friday Earthquake of 1964 and rebuilt quickly, once again establishing itself as the city’s leading center of commerce and culture. Today it offers a top-notch real estate inventory as well as a flourishing retail sector and many of the city’s top amenities and attractions. Downtown Anchorage is home to or very convenient to many of the city’s top parks, public spaces and gardens. Just a few of these include the lush Alaska Botanical Garden, Kincaid Park, Ocean View Park and Forsythe Park. It’s also close to many of the region’s finest hiking trails and renowned ski resorts. 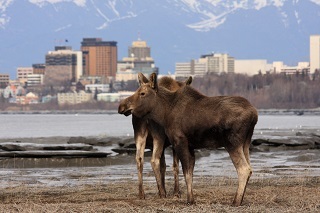 Museums, cultural institutions, parks and entertainment venues abound in Downtown Anchorage. Some of the top attractions in or easily accessible from the neighborhood include the Alaska Center for the Performing Arts, the Anchorage Museum at Rasmuson Center, the Alaska Aviation Heritage Center, the Alaska Zoo and much more to discover. Local events include performances at the Alaska Center for the Performing Arts, Alaska Wild indoor football games, college sports games, the Sitka Summer Music Festival, the Fur Rendezvous festival and even more to discover throughout the year. 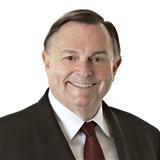 Those looking for a home in Downtown Anchorage should call the RE/MAX Dynamic Properties Bob Baer 907-261-7505. 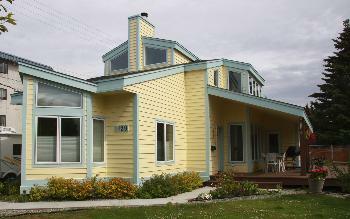 They are experienced pros who have a line on the latest information and best real estate deals in Anchorage. Whether you’re a family, young professional or anyone else in between, let Bob and Carrie help lead you to the home of your dreams in Downtown Anchorage!